2013 marks the 60th anniversary of a true American icon and one of the world’s most desirable sports cars – the Chevrolet Corvette. Now in its sixth generation, and an instantly recognisable symbol of American motoring history, the Corvette has grown from humble beginnings into a world class, high performance road car and an endurance racing legend. To commemorate this milestone, Scalextric presents two of the finest examples of the Corvette from its illustrious history – the iconic 1969 Chevrolet Corvette Stingray L88, alongside the latest monster of the race circuit, the C6R. 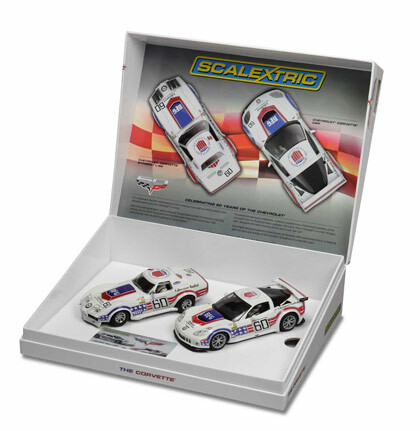 Each highly detailed Scalextric model boasts a special 60th anniversary livery. Frank Gardner, the laconic Australian racing driver, one of the most popular and charismatic personalities on the British motor racing scene in the 1960s and 1970s, was a respected, tough and uncompromising competitor who raced in a wide variety of cars. It was in touring cars that he achieved his best performances. He won the British Saloon Car Championship in 1967 at the wheel of a Ford Falcon V8, driving for the Byfleet‐based Alan Mann racing organisation. He then repeated the achievement the following year at the wheel of one of the newly unveiled Ford Escorts. 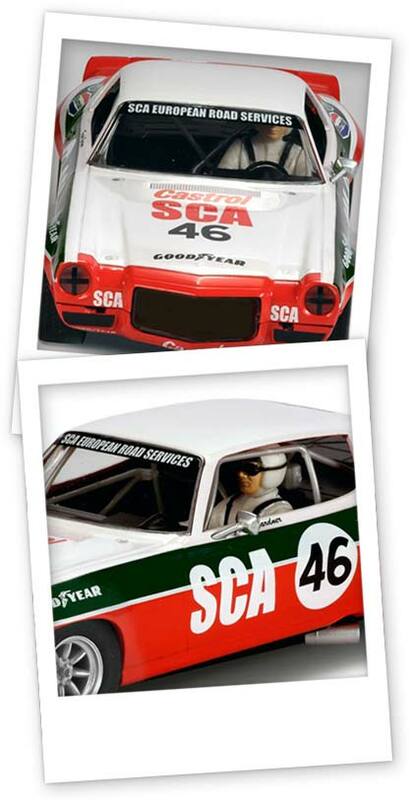 In 1973 he would win the title for a third time in this fearsomely powerful 7‐litre Chevrolet Camaro. 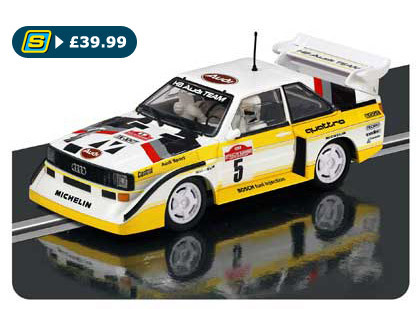 This Group B monster featured an inline 5-cylinder 2.1 litre engine and produced an eye-watering 500 bhp at 8000 rpm and could accelerate from 0-60 mph in 3 seconds. The car proved to be an immediate success in the rally circuit, with this particular car helping Walter Röhrl and Christian Geistdörfer win the 1985 San Remo Rally. 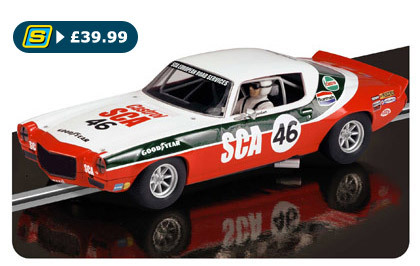 This stunning high detail Scalextric replica is fitted with Magnatraction, DPR and working lights.